“Vijay Deenanath Chauhan…poora Naam..”..these words have been stuck in my memory forever. The man, Amitabh Bachchan, is one of a kind. When he speaks, people listen, and that is exactly what I did. Listened to him every waking moment of my childhood, because my father was a fan of him. You could say that my love for Mr. Bachchan was passed on to me by my father. Even in silence, he speaks volumes. These images were shot for HELLO magazine, and we can say with pride that we have been fortunate to have these memories, and the wonderful pictures created by Vikram, with us forever. 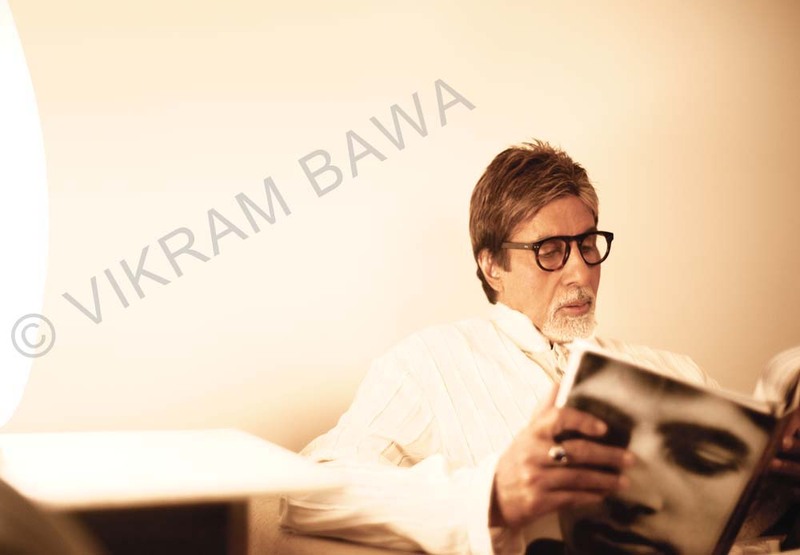 This entry was posted in Uncategorized and tagged actor, amitabh bachchan, Bollywood, Fashion, HELLO, legend, Photographer, Photography, Vikram Bawa by Vikram Bawa. Bookmark the permalink.